Late night faux-conservative pundit Stephen Colbert said he may be “the only American left" who hasn’t signed a nondisclosure agreement. 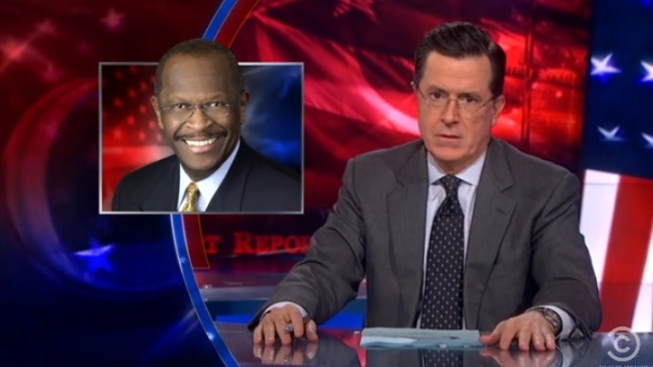 Speaking of one of Cain's accusers, Colbert said Cain "was going to give her a job at his company if she would first give him a job in his front seat—that’s alleged!" Watch the clip below to see all the pundit's many Cain puns.